In celebration of NASA’s 60th anniversary, Fathom Events is bringing the new Discovery Channel documentary “Above and Beyond: NASA’s Journey to Tomorrow” to movie theaters nationwide with two special cinematic screenings on September 29 & October 3. The film highlights NASA’s many accomplishments in space and catapults viewers forward to where its headed in the future.The cinematic event is a fun and educational activity to do with kids of all ages. Directed, produced and narrated by Academy Award®-nominated and Emmy®-winning Rory Kennedy (“Last Days of Vietnam,”), the in-cinema events will include a special introduction from Kennedy followed by a screening of the documentary. 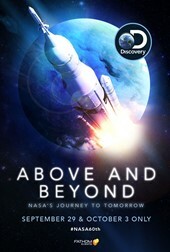 Tickets for “Above and Beyond: NASA’s Journey to Tomorrow” can be purchased at www.FathomEvents.com and participating theater box offices. Fathom Events and Discovery Channel present “Above and Beyond: NASA’s Journey to Tomorrow” on Saturday, September 29 at 12:55 p.m. and Wednesday, October 3 at 7:00 p.m. (all local times) in more than 650 select movie theaters, through Fathom’s Digital Broadcast Network (DBN). A complete list of theater locations is available on the Fathom Events website (theaters and participants are subject to change). Following the Fathom screenings, the documentary will also air on October 13, 2018 on the Discovery Channel. “Above and Beyond: NASA’s Journey to Tomorrow” shines a spotlight on NASA’s historic accomplishments in space, from the moon landing to Mars exploration to journeys to the outer edges of the solar system and beyond. More than a moving portrait of NASA’s many accomplishments in space,“Above and Beyond” also sheds light on the agency’s lesser-known area of focus and the vital role NASA has played in measuring the health of our home planet. However, as far as NASA may travel, its gaze has always returned to Earth, monitoring our seas and skies, our ice and sands in an ongoing struggle to meet today’s great challenge: protecting our planet. About Fathom Events: Fathom Events is the leading event cinema distributor with theater locations in all top 100 DMAs® (Designated Market Areas) andranks as one of the largest overall theater content distributors. Owned by AMC Entertainment Inc. (NYSE: AMC), Cinemark Holdings, Inc. (NYSE: CNK) and Regal Entertainment Group (NYSE: RGC), Fathom Events offers a variety of unique entertainment events in movie theaters such as live performances of the Metropolitan Opera, top Broadway stage productions, major sporting events, epic concerts, the yearlong TCM Big Screen Classics series, inspirational events and popular anime franchises. Fathom Events takes audiences behind the scenes for unique extras including audience Q&As, backstage footage and interviews with cast and crew, creating the ultimate VIP experience. Fathom Events’ live Digital Broadcast Network (“DBN”) is the largest cinema broadcast network in North America, bringing live and pre-recorded events to 941 locations and 1,496 screens in 181 DMAs. The company also provides corporations a compelling national footprint for hosting employee meetings, customer rewards events and new product launches. For more information, visit www.FathomEvents.com. About Discovery Channel: Discovery Channel is dedicated to creating the highest quality non-fiction content that informs and entertains its consumers about the world in all its wonder, diversity and amazement. The network, which is distributed to 100.8 million U.S. homes, can be seen in 224 countries and territories, offering a signature mix of compelling, high-end production values and vivid cinematography across genres including, science and technology, exploration, adventure, history and in-depth, behind-the-scenes glimpses at the people, places and organizations that shape and share our world. 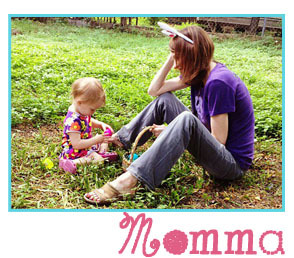 For more information please visit www.discovery.com. More information about the documentary can be found at https://www.fathomevents.com/events/above-and-beyond. For local Austinites, this documentary will be featured at three local venues: Regal Arbor @ Great Hill 89828 Great Hills Trail, Austin, TX 78759, Tinseltown USA Pflugerville15436 FM 1825, Pflugerville, TX 78660 and Cedar Park1335 E. Whitestone Boulevard, Cedar Park, TX 78613.